My husband has wanted a motorcycle forever. But I was always just way too afraid of the whole thing. Something changed in me last year – I didn’t want to be the reason for unrealized dreams in our marriage. And yes, I’m still afraid! So last summer my husband scoped out the best price and best kind of motorcycle he could find. He purchased a 1982 Honda Nighthawk in excellent condition, and aced a motorcycle driver’s course. But he couldn’t get the motorcycle started for the life of him once it was sitting cozy in our shed. Patiently he tinkered with it, got advice, purchased a few small parts and finally took it for a spin at the end of last summer. It’s still winter here in Northern Ontario, but it’s uncharacteristically warm, and the sunshine was calling all three of my men today. They’ve been out for hours. And my husband pulled the bike out of storage for its first glimpse of sunny weather this season. BUT he couldn’t get it started. I came out for some chit-chat and as soon as I walked past the bike, it caught and roared to life. I just know it’s beckoning me. But I’m not in the least bit ready to sit on that Nighthawk. Maybe one day. Maybe one day I’ll take a motorcycle course and buy my own bike. Maybe one day we’ll drive them clear across the country. But not today. 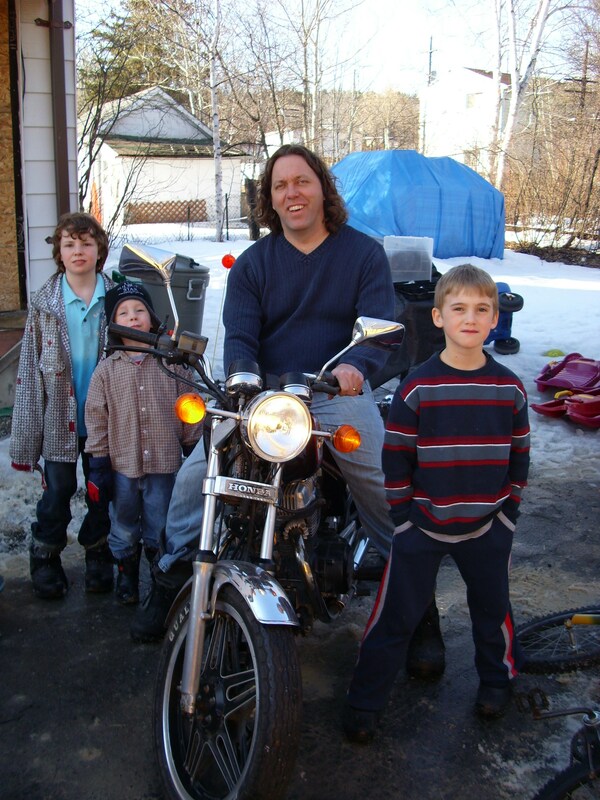 Enjoy your first summer of motorcycle riding Joshua – you’ve waited a long time for this! But as you head out on the highway, remember the adventure waits at home, and MIGHT join you one day… MIGHT.